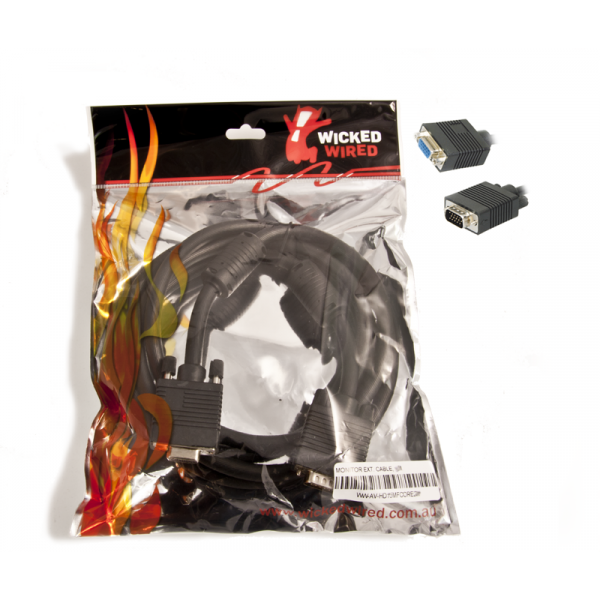 Manufacturer: Wicked Wired. Used to connect a male high density 15 (HD15) pin (Ex: A computer monitor-s input) to a female high density 15 (HD15) pin (Ex: On a computer system-s display card output). Supports ultra high resolutions.